Two men went fishing. One was an experienced fisherman, the other wasn't. Everytime the experienced fisherman caught a big fish, he put it in his ice chest to keep it fresh. Whenever the inexperienced fisherman caught a big fish, he threw it back. Sometimes, like that fisherman, we throw back the big plans, big dreams, big jobs, big opportunities that God gives us when our faith is too small. Before laughing at this fisherman who didn't figure out that all he needed was a bigger frying pan, how ready are we to increase the size of our faith? Whether it's a problem or a possibility, God will never give you anything bigger than you can handle.That means we can confidently walk into anything God brings our way.You can do all things through Christ (Philippians 4:13 .) 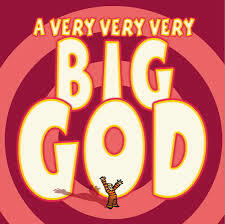 Nothing is too big for God, so stop telling God you've got big problems; tell your problems you've got a BIG GOD!